Serious accidents, or instances of road rage, can result from a driver switching into a lane and hitting a vehicle that is there or causing another vehicle to take drastic action to avoid an accident, which in turn can cause an accident with other drivers. This is due to the natural blind spot that exists between the driver’s native view and the area viewable from the side mirror reflection. Blind Spot Detection Systems let drivers know if the lane is clear or occupied before making a change. Cameras or radar-based sensors continually monitor the blind spots on both sides of the vehicle. If, over a certain speed, the system sees a vehicle or other object in the blind spot, it will create a visual alert for the driver. On more advanced systems, drivers receive a more urgent audible and/or visual alert if the turn signal is applied while a vehicle is in the blind spot. Did you know? 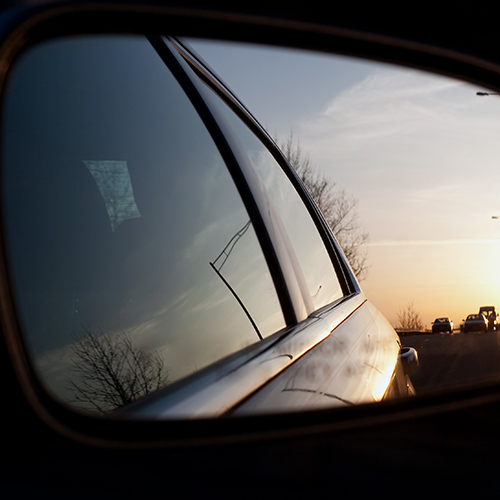 A blind spot detection system can be added to your existing vehicle. For more information, contact your Vision Zero Automotive Network Preferred Retailer.